Norm Raymer, President and CEO of Wealth Management Advisors, is a financial, retirement and estate planning professional, and Investment Advisor Representative offering securities and investment advisory services through Signator Investors, Inc. Norm's mission is to use his 30+ years of experience in the financial services industry to help his clients and business owners achieve their personal and business financial goals. 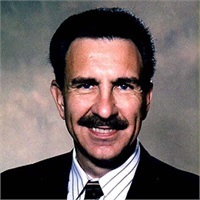 He has published articles in national financial and automotive magazines and has lectured CPA firms on investment tax strategies for their clients. When it comes to a successful planning experience, we believe knowledge is power. We help our clients gain the knowledge they need to make wise choices to work towards becoming financially independent. Our goal is to advise clients on how to build and preserve their assets. Since our definition of money is purchasing power, we attempt to provide personalized strategies to help hedge against inflation and mitigate taxes as much as possible based upon our client's desires and circumstances. Retirement Planning- Providing strategies that strive for clients having an income stream in retirement. Investments & Wealth Management- Providing guidance to clients to help build and preserve their assets. Financial Planning- Each person is unique in their own way. Is your financial plan customized to you?We look beyond the numbers to gain a clear understanding of your dreams. IRA's, Roth's, SEP's, 401k's, 403b's, 509 College Plans, Deferred Compensation, Pension Plans- How to allocate your assets to help provide for your retirement. Estate & Charitable Gift Planning Strategies- We help you plan for an efficient transfer of your wealth to heirs, charity, or both. Family & Business Succession Planning- How to maintain control for as long as you want, yet transfer assets to help reduce any tax consequences.